GR's top games of 2005! Discussion in 'General Gaming' started by GhostTrip, Dec 15, 2005. Here it is guys, I've compiled a list of the best games of 2005 chosen by you guys! Shouldn't this be in the general gaming forum? Nice list, very little on there that I disagree with. The only thing i would disagree with is the Only for on the Resident Evil Picture. Now please don't say what many will probably say. Interesting. I saw the topic, but never had time to compile my list. Nice presentation, GhostTrip. Quit being such a party pooper!! OH YEAH ANOTHER MISC. TOPIC! Too bad Fatal Frame III didn't make it in but that's okay. Good job Ghost. 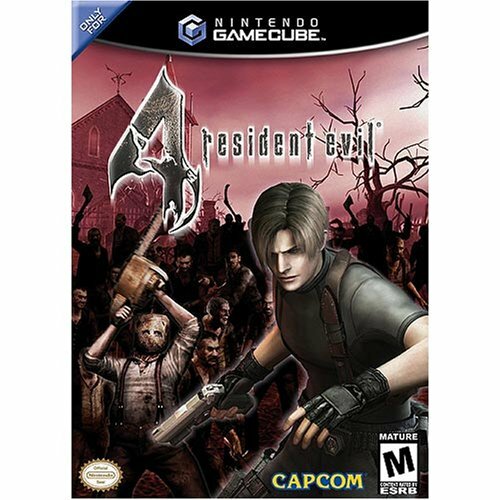 Resident Evil 4, ONLY for Gamecube!!! LOLLERSKATES!!!!!!!!!!!!!! Blue Frog has graded that post F.
Great job Ghost! Nice work! The guy's an idiot. He was also posting how stupid RPG's were in the RPG forum the other day I think. ZOMFG WR IS THE PWNAGE!!!! Ug, That list! 2005 really was a slow year.